Hello Friends! I must admit that I have been on an incredible journey through the arts. that will lead us to endless and exciting journeys. edition copy of this image, just send me an email at paul@pwphoto.com and put Crossing the River in the subject line. Print Only…..$100. Print with Mat…..$140. 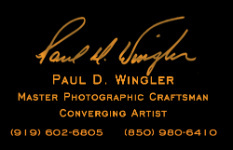 paul@pwphoto.com and put Crossing the River in the subject line.